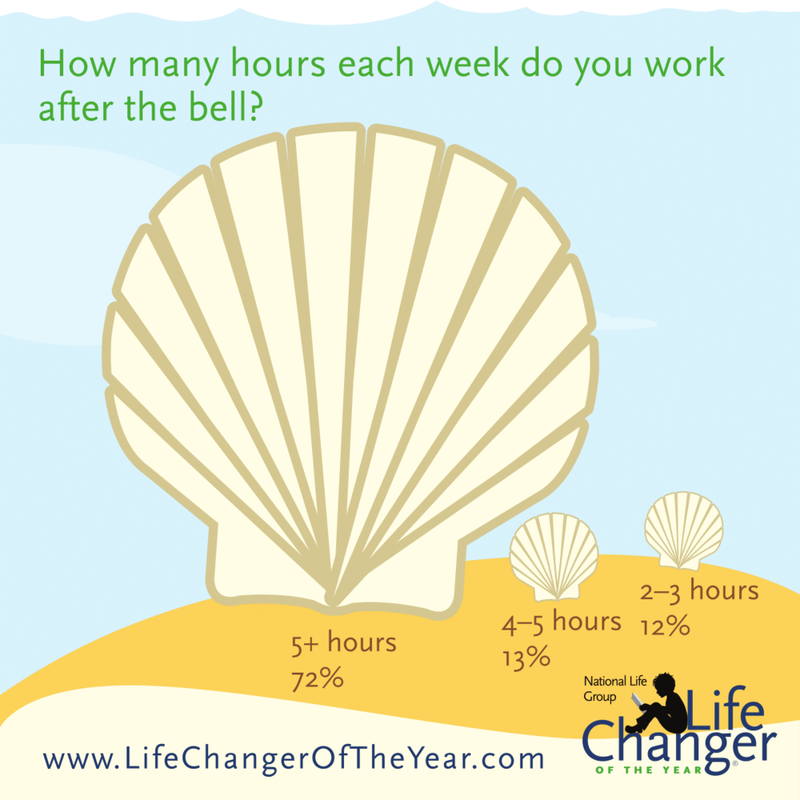 This summer, LifeChanger of the Year conducted an online survey of 343 educators and school employees in 43 states to ask them about how they spent their summer breaks, what makes them a successful educator and how they plan to spend their retirement. Here's how they responded. Respondents planned to spend nearly half (48%) of their time during the summer on these work-related activities while spending just 29% of their time on leisure activities. 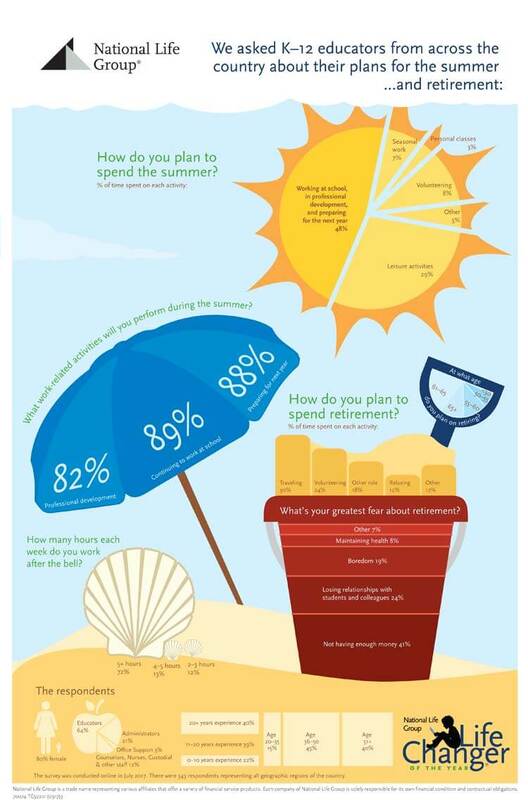 More than 80% of all respondents indicated that they planned to dedicate at least part of the summer months to their job. "My greatest joy comes from the happiness I see on my students' faces when they are engaged in meaningful learning and enjoying it...that moment when they realize they're learning something new that interests them, and it sparks their desire to learn more! I love having the opportunity to provide these meaningful experiences for students." 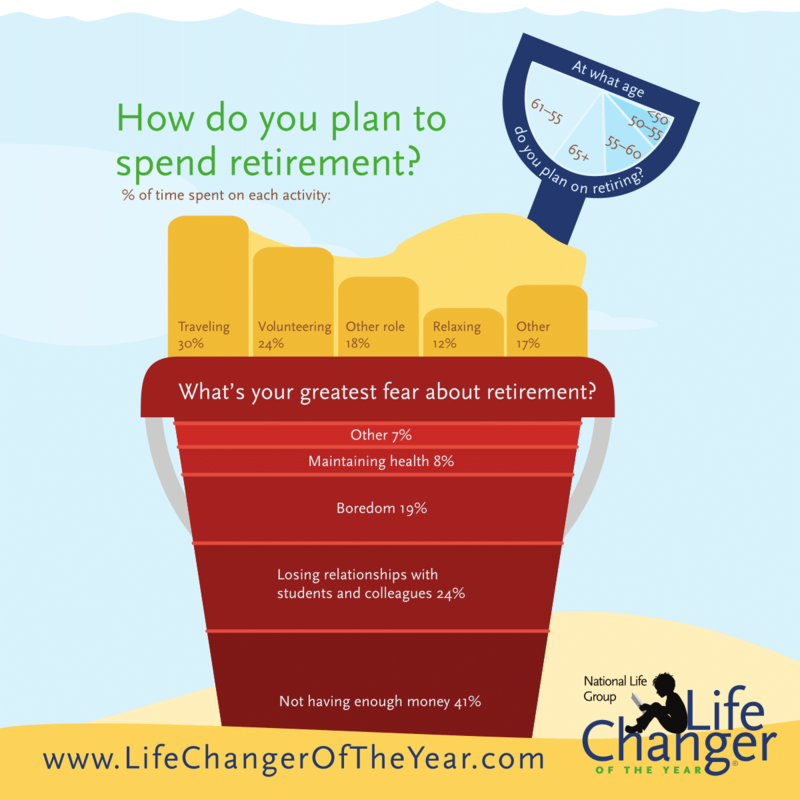 When asked about retirement, planned activities include travel, volunteering and working in a different role. 41 percent said their greatest fear is not having enough money. During the school year, 72 percent of educators say they invest more than five extra hours per week beyond the requirements of their job. “I spend every weekend at school! I arrive to school two hours before students and many other teachers and stay after as well. I devote most of my extra time to my school not because I have to, but because I truly want to." Click here to download and share our full Info-graphic. As an Educator, what are the top qualities do you think help make you successful? What are the top resources you use as an education professional? Do you plan to spend the rest of your career in K-12 Education? How many years have you been working in Education?